Comcast has been edging into the wireless communications business for quite awhile and now its Xfinity Mobile network is doing a quiet roll-out. The service resells Verizon's 4G LTE network and what Comcast says are 16 million wi-fi hotspots to reach just about every corner of the country. The wi-fi hotspots are in commercial locations and also in customers' homes. Comcast routers have a separate channel that provides coverage to nearby Xfinity customers. The goal is to use wi-fi as much as possible to avoid burning up the more expensive Verizon bits. 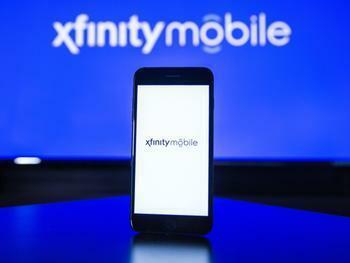 Xfinity customers can sign up for the service at the new Xfinity Mobile website. It's available in all markets where Comcast already provides cable service. Sign-ups are restricted to Comcast’s 25 million subscribers. Xfinity Mobile features an unlimited data, talk, and text plan starting at $65 a month for up to five lines ($45 per line for customers with Comcast’s top X1 TV packages), or $12 per GB a month a la carte. The unlimited option has been reduced to $45 a month through July 31 for the network’s first customers. If it works as planned, Xfinity Mobile will put Comcast into direct competition with incumbents like AT&T and T-Mobile, as well as with wi-fi-based networks like Google Fi. Which cell phone service is right for you? Check the ConsumerAffairs Cell Phone Buyers Guide.